Diamo spazio alle tue idee! Starting from May 2019 YoRoom will extend its area, reaching 2000 sqm in an old refurbished factory. from 12 to 40 sqm. and 1 Events Location of 150 sqm. Modular spaces both with independent access and counter. 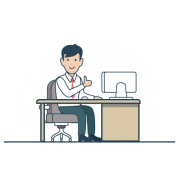 Vibrant Community of freelance and companies. Today it counts more than 100 coworkers. 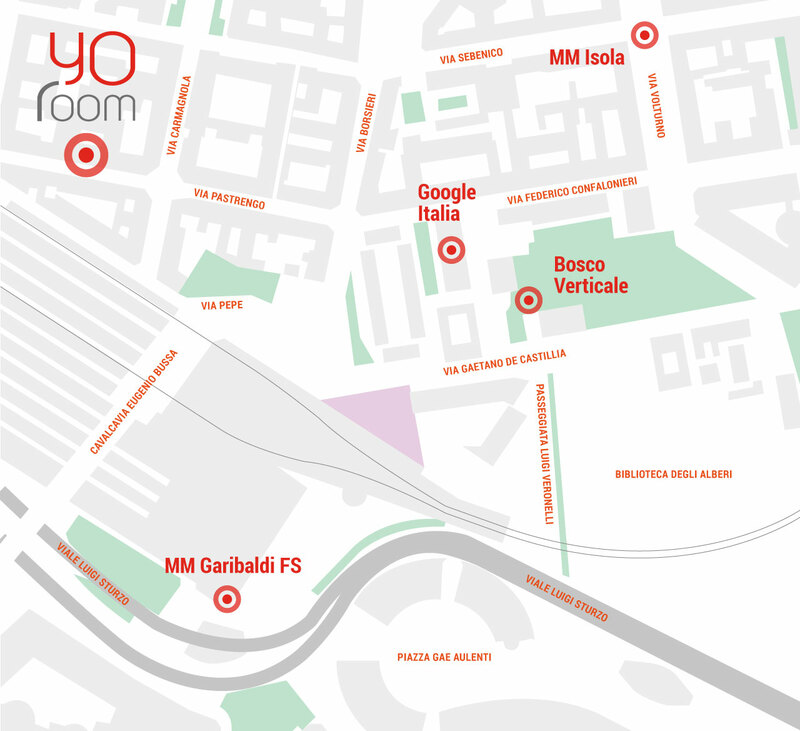 YoRoom coworking is located in the Isola/Garibaldi district a few meters from the Garibaldi and Metropolitan Station (M2- M5), a well-connected and easily accessible location for those arriving from the center or from out of town. Would you like to change your working day or simply do you need a break between meetings? Find out all the district’s activities, restaurants and shops, stroll through the park of Library of Trees, under the mighty skyscrapers of Vertical Forest and the new headquarters of Google Italy, and enjoy the dynamism of the lively Isola district for a post-work aperitif. YoRoom has the ambition of creating a Socially Responsible Community. 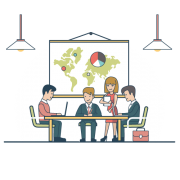 YoRoom believes it is very important encouraging the sharing of spaces, ideas and experiences between companies, start-ups and freelances. 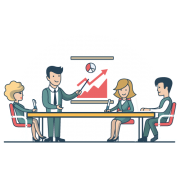 Make yourself a YoRoomer and join our monthly dates (YoLunch, YoBreak, YoNetwok) to have the opportunity to expand your network and business, meeting professionals from all sectors. YoRoom is a coworking space with the aim to become a Socially Responsible Community. Enter your email address to receive updates on YoRoom‘s events and networking opportunities. Ambiente di coworking a due passi dalla stazione di Milano... continua a leggereAmbiente di coworking a due passi dalla stazione di Milano Porta Garibaldi. È facile da trovare, si trova all'interno di un cortile e si raggiunge in due minuti a piedi dalla stazione di porta Garibaldi, uscendo dal lato di via pepe. Spazio condiviso per uffici. Offre molte soluzioni e garantisce un... continua a leggereSpazio condiviso per uffici. Offre molte soluzioni e garantisce un buon servizio e divisione degli spazi. I was in Milan for 4 days, this is the... continua a leggereI was in Milan for 4 days, this is the coworking space I went to for 1 day. The people at the front desk were very nice and kind. The place is modern, clean and well lighted. It was excellent. I recommend ++. Yoroom è uno spazio di lavoro condiviso che ha l’ambizione di diventare una Comunità Socialmente Responsabile.